Learn about the new professional standard of Financial Instruments from the FASB. 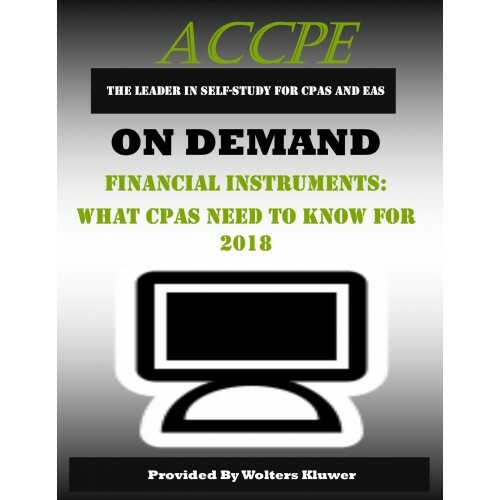 This Accounting Standard Update (ASU 2016-01) represents significant changes in authoritative professional standards concerning financial instruments (financial assets and financial liabilities), their measurements, impairments, and disclosures. Also discussed are “changes to the changes” in the form of newer ASUs. These subjects are explained, discussed, and illustrated for examples. 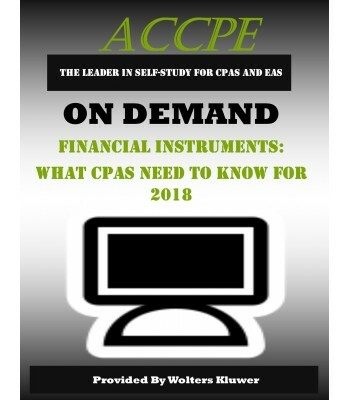 Professionals in public practice, business, industry, government, and education who deal with nonpublic entities and need a course on how to handle the new major issues of financial instruments.